Stone gardens are known for their serenity and peaceful effect. The new Special Edition Souverän® 800 Stone Garden was created to be symbolic of this special place and the calming influence from life’s hectic everyday pace. 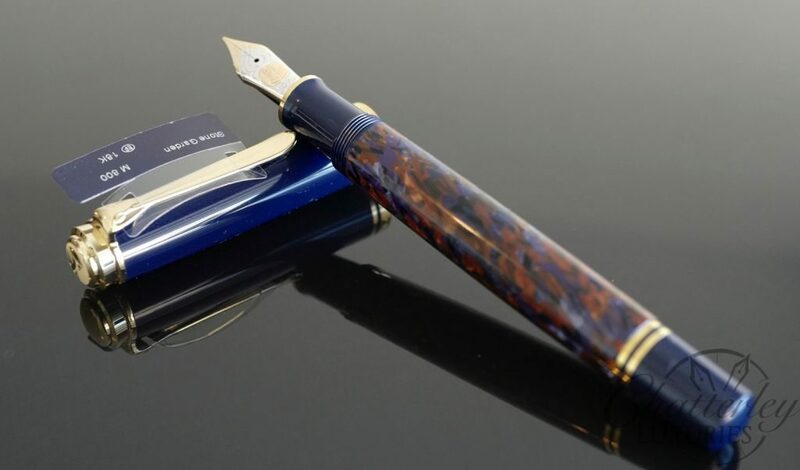 The combination of opaque dark blue and the sophisticated marbled structure with blue and brown colors give a noble and elegant look to this series. 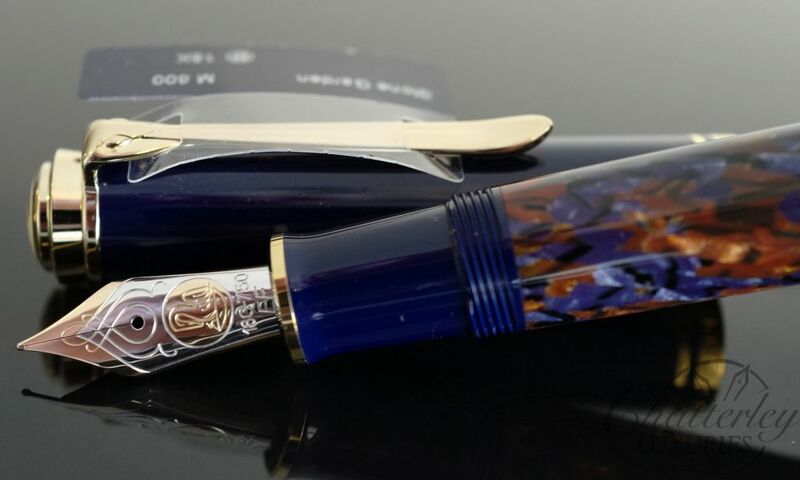 The barrel of the fountain pen is crafted from cellulose-acetate, and the dark blue cap from high quality resin material. All rings and the clip are elegantly decorated with 24-carat gold. 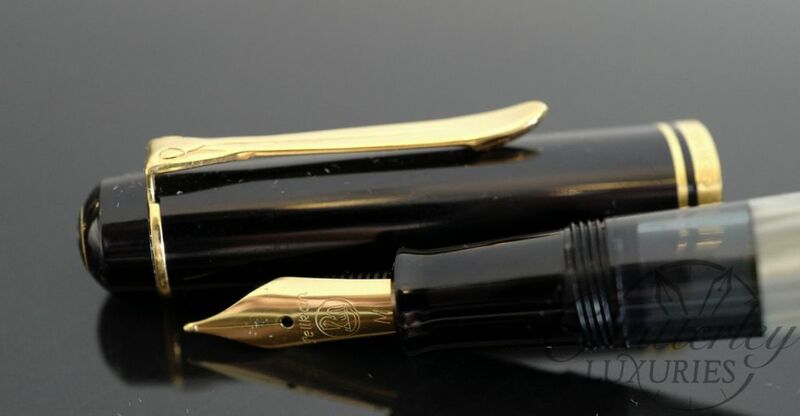 This fountain pen is completed with a two-tone 18kt gold nib. 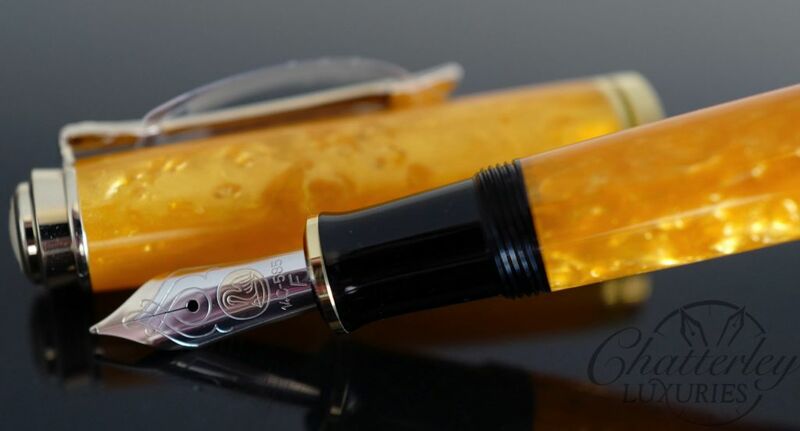 The smooth operating piston mechanism allows you to fill this pen with bottled ink. 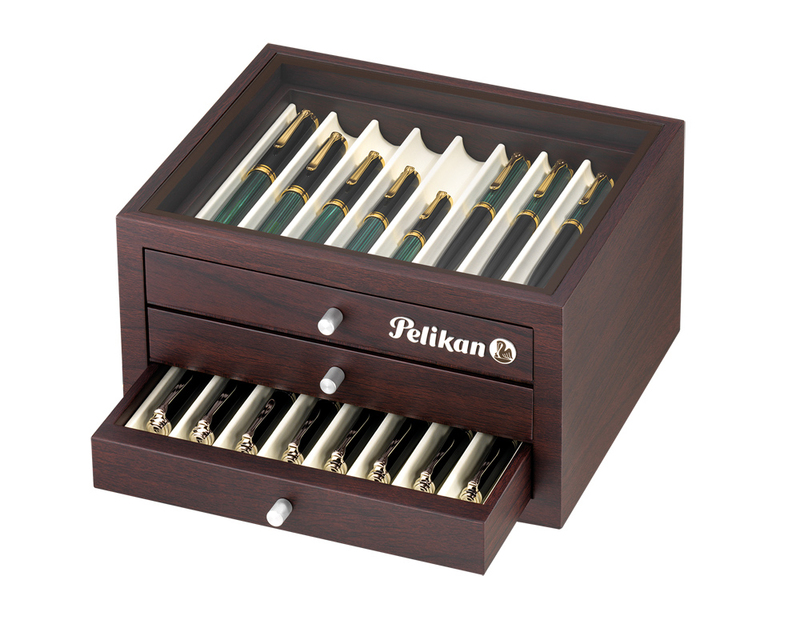 These Souverän® pens are presented in a beautiful Pelikan gift box.